After the previous week-end’s aborted trip to Italy for some la dolce vita, we decided to head there again last Saturday. Tucked between southern France to the west and Tuscany to the east, the crescent-shaped coast of Liguria in northwest Italy shares our azure waves and the incredible heights of the Alps soaring above its medieval cities. The Italian Riviera is divided into two sections though many holidaymakers spend their time on the shores of the Riviera delle Palme (Riviera of Palms) – the eastern half that encompasses well-known destinations such as the Cinque Terra – the less trafficked Riviera dei Fiori (Riviera of Flowers) to the west also enjoys remarkable landscapes but with smaller crowds. Our destination on Saturday was the ancient beachside town of Ventimiglia which marks the beginning of the Riviera dei Fiori. While its most prominent feature is a train station connecting the two countries (France and Italy) – which is where we always park – the understated city is a living history book. You’ll find traces of human evolution ranging from the prehistoric age through the Roman Empire, the Middle Ages and beyond. The city has seen thousands of years of bloody battles over territory as evidenced by the Roman ruins and crumbling Gothic architecture. For locals, being surrounded by so much natural beauty and history is part of everyday life and this nonchalant attitude is part of the city’s charm. 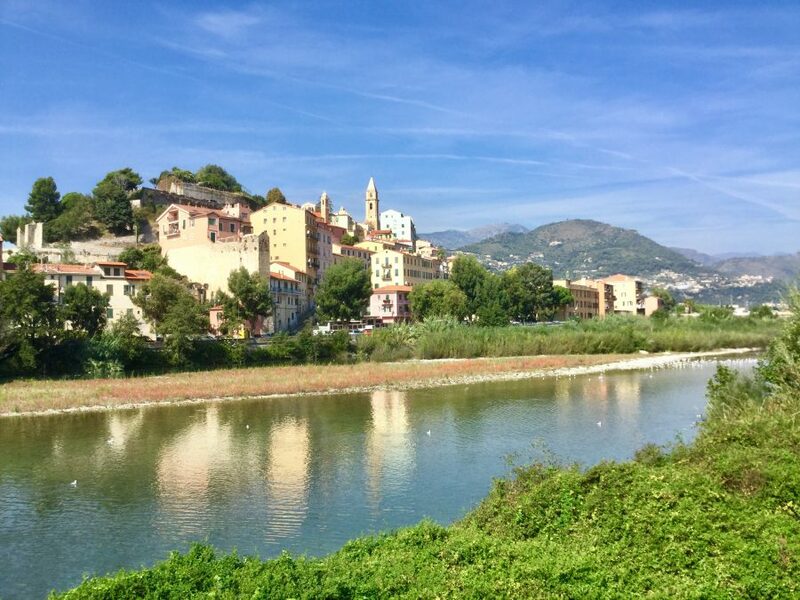 Unlike more well-known towns and cities nearby, Ventimiglia has a sort of undiscovered feel, as if the ancient buildings and shops run by generations of families have escaped the passage of time and the glare of notoriety. People are just doing what they have always done – and they are doing it exceptionally well. Perched on steep cliffs overlooking the sea, the medieval old town served as the fortified city centre through the 1800s. What remains today is an incredibly beautiful and architecturally unusual historical site. There are four churches in the steep, winding streets – one of which, the Church of San Michele, just off of the main road via Garibaldi, is more than 1,000 years old. The granite columns that support the church’s crypt are said to be built from ancient Roman milestones. Below the old city, Ventimiglia has a charming, beachy feel although it’s rocky rather than sandy. On Fridays, tourists flock to the cheap leather goods and cookware on sale at the weekly, open-air market that stretches along the coast road. 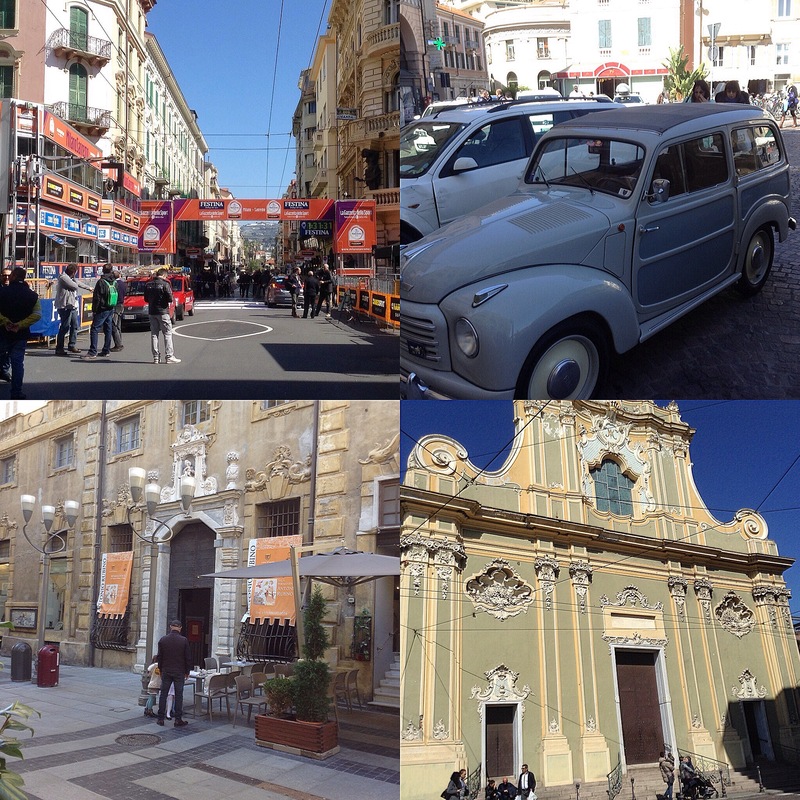 Year-round, the streets are lined with buzzing cafes, casual restaurants, family-run bakeries and shops selling all manner of Italian goodies. Not forgetting its Mercado Coperto (covered market) located for more than 40 years on Via de la Republica. Here the many stalls are packed from sunrise to 2pm with fresh, fragrant fruit and vegetables – mostly grown in the surrounding terraced hillsides – plus all manner of Italian meats and cheeses, piles of fresh pasta with homemade sauces and lots of homemade biscuits. It’s here that I enjoy selecting and buying fruit and vegetables from local producers – so much cheaper than over the border in France – to turn into chutneys, pickles and jams. I also visited the nearby butcher and traiteur to stock up on goodies for my beloved before we chose the all-important restaurant for lunch. We tend to dine at the family-run La Trattoria to the rear of the market whose set lunch will set you back €12,00 per head, exclusive of wine, coffee and water. It’s all freshly home-made and includes plenty of crowd pleasers. It’s always full so we tend to pop in early to reserve a table inside. We needed a good lunch so that we had enough strength to stagger back to the car with all our purchases. 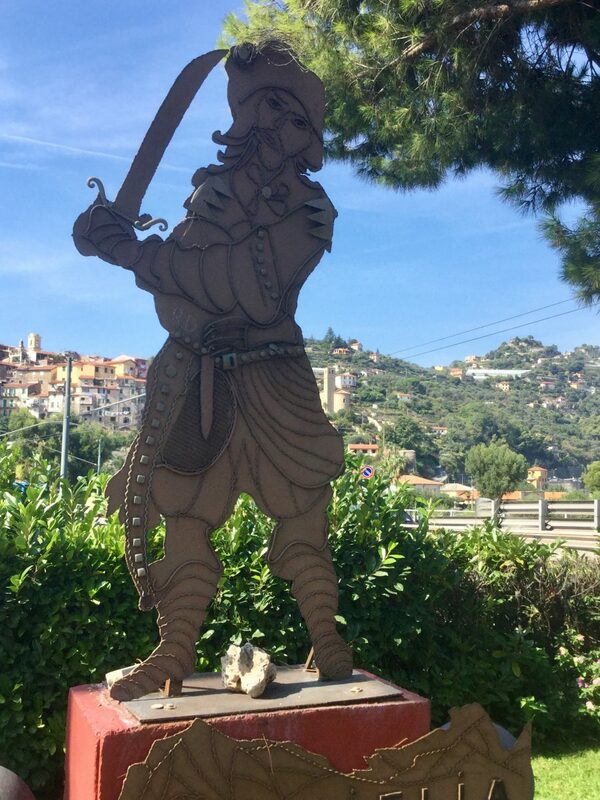 Of course, Ventimiglia has long been discovered by those of us who live close by and the prominent language is often French, rather than Italian, which is spoken by all the stall holders, shops keepers and restaurant staff. I insist on talking Italian and I think they appreciate the effort! 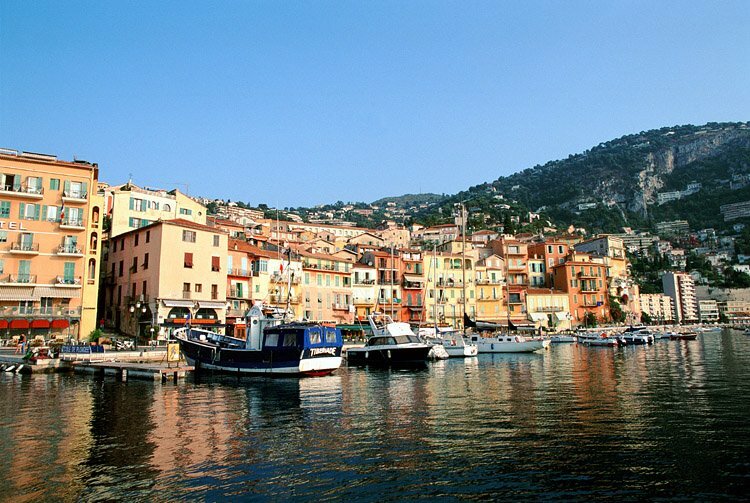 With the Cote d’Azur as our home base, much of the rest of the region is at our fingertips. The mountain town of Dolceacqua is 7km north of Ventimiglia past terraced olive groves and hillside vineyards that produce the distinctive regional Rossese wine. Dolceacqua is dominated by the striking 12 th century Doria Castle and stone bridge which was immortalised in a series of paintings by Claude Monet including one titled The Castle At Dolceacqua, completed in 1884 and which I’ve seen in The Clark Institute. 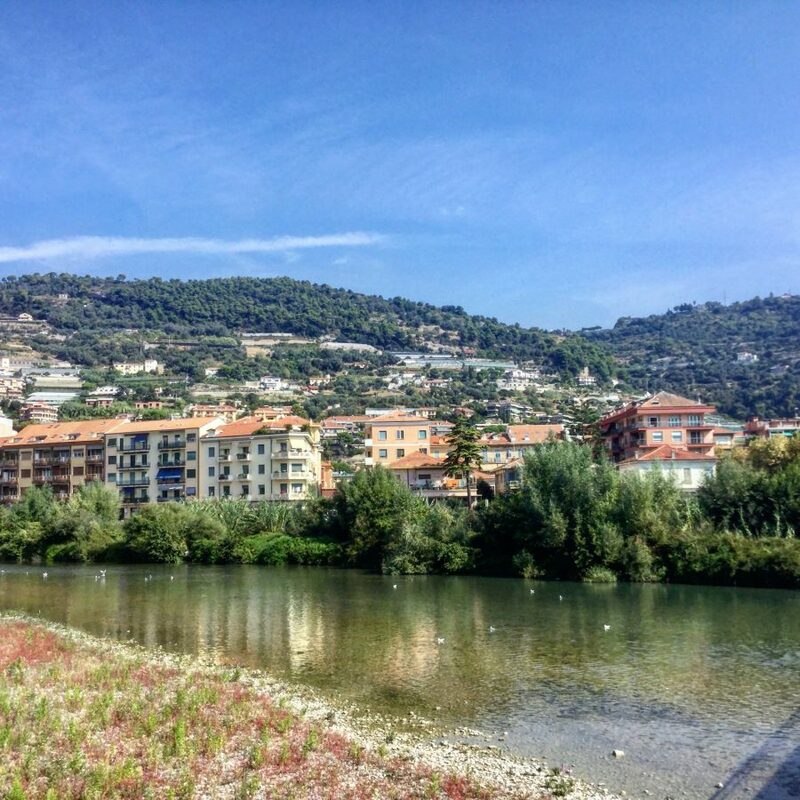 Six kilometres east of Ventimiglia, the seaside resort town of Bordighera, has a few trendy cafes and organic produce markets, a long ocean promenade lined with beach bars and glass-walled restaurants, plus a wide rocky shoreline for sunbathing and swimming. 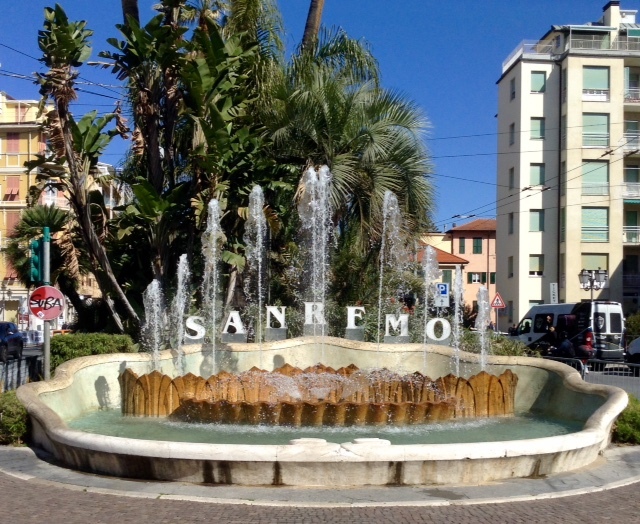 About 16km east of Ventimiglia, Sanremo is the most well-known city in the Riviera dei Fiori and marks the western boundary of the region. With its grand casino, fabulous year round weather and famous music festival, which inspired the Eurovision Song Contest. In the 1950s and 1960s Sanremo rivalled Cannes as a glamorous beach destination. 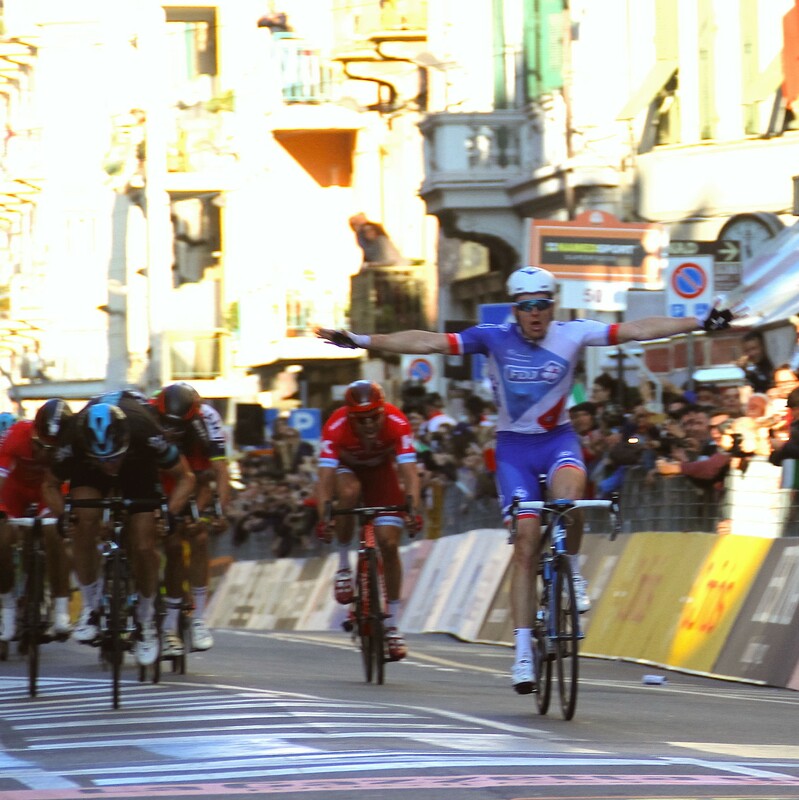 Now it’s more better known as the finish town for the first Monument of the cycling season – Milan – Sanremo. Saturday was just the most perfect spring day, perfect for a bike ride. 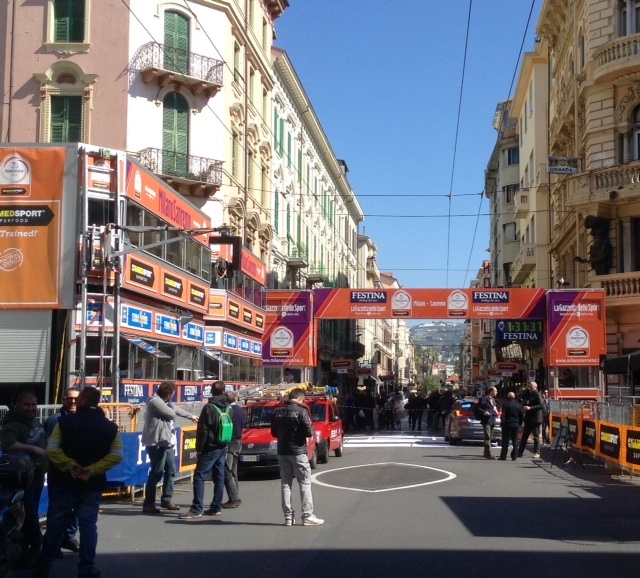 Instead, I drove to Sanremo on the Italian Riviera to watch a bike race. I love the drive over there: 45 minutes on a motorway with one of the world’s best coastal views. I like to get over there early, in time for a cappuccino and custard-filled croissant, while I pore over La Gazzetta dello Sport’s run down of the race favourites. Obviously, coffee and croissant are off the cards for me but not for my beloved who freely indulged. After all it was going to be a long day with nearly 300km of riding. That’s a lot of television viewing! Race coverage doesn’t start until just after lunch giving us plenty of time for a spot of food shopping followed by a stroll around in the sunshine, a spot of fare niente or, in my case, some serious window shopping. The fine weather and the race had combined to bring out the crowds all doing pretty much the same as us. Window shopping’s thirsty work so my beloved needed fortifying with an Aperol spritz, a recent addiction. 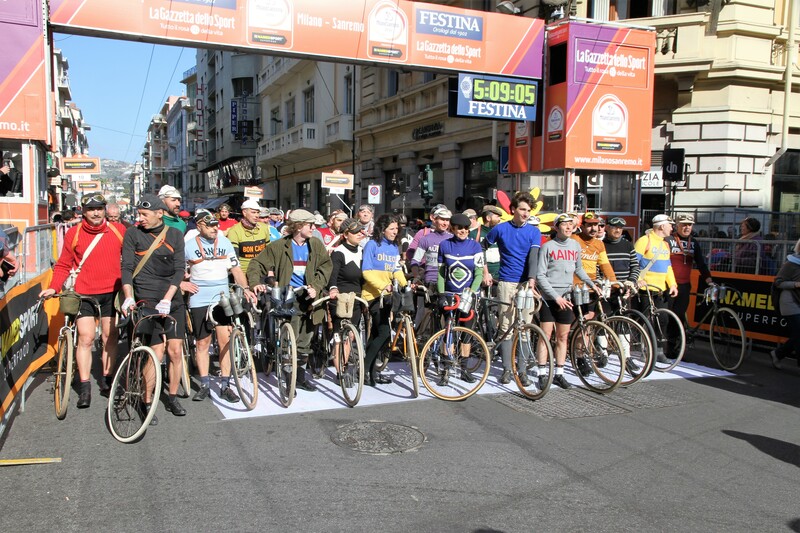 We walked along the via Roma for a better look at the finish line where harried staff were still assembling everything while the peloton hurtled from Milan to the coast. After checking out a number of restaurants, my beloved decided to choose one I’d eaten at before and we were soon tucking into some delicious seafood. I’m particularly partial to octopus and our starter came with clams, waxy potatoes and artichokes. We followed it with lobster spaghetti. Carbo-loaded, I was now ready for action just as the television coverage started. After an hour or so, I had to head off for a meeting with one of the teams but fortunately they have television coverage in the team bus and I was able to watch it relatively freely while still taking notes and contributing to the discussion. I believe that’s called multi-tasking. The meeting was thankfully short and we could all return to more intently watching the race unfold. The crowds had swelled, I’d missed the Old Timers who’d set off from Milan just after midnight. Now, that is an epic and heroic ride! 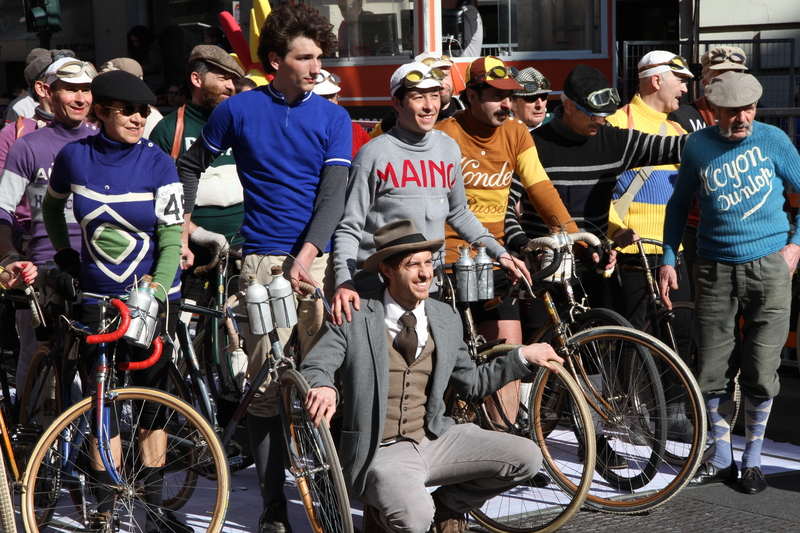 They rolled across the finish line, posed for photographs and the cheers of the crowd. The participants provided many with a welcome diversion after several hours standing, watching the big screen. 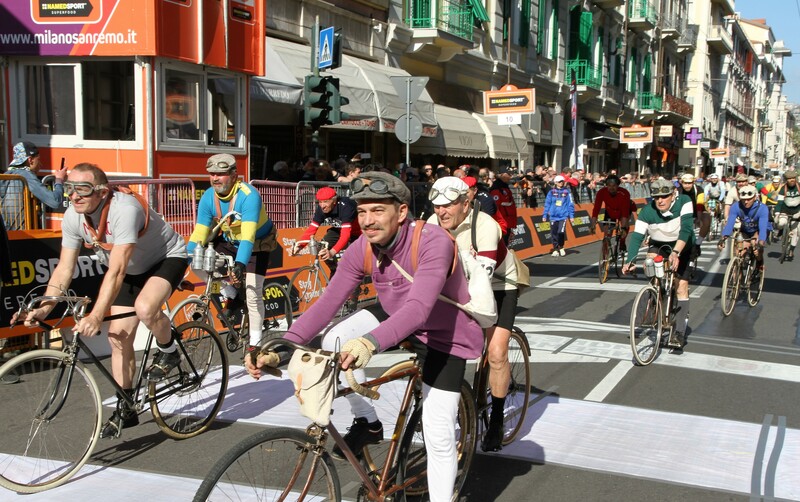 With fine weather and no wind to speak of, once the early break had been reeled in, the leading bunch seemed larger than in recent previous editions, and nervous as it approached the last two obstacles before the mad dash through Sanremo. 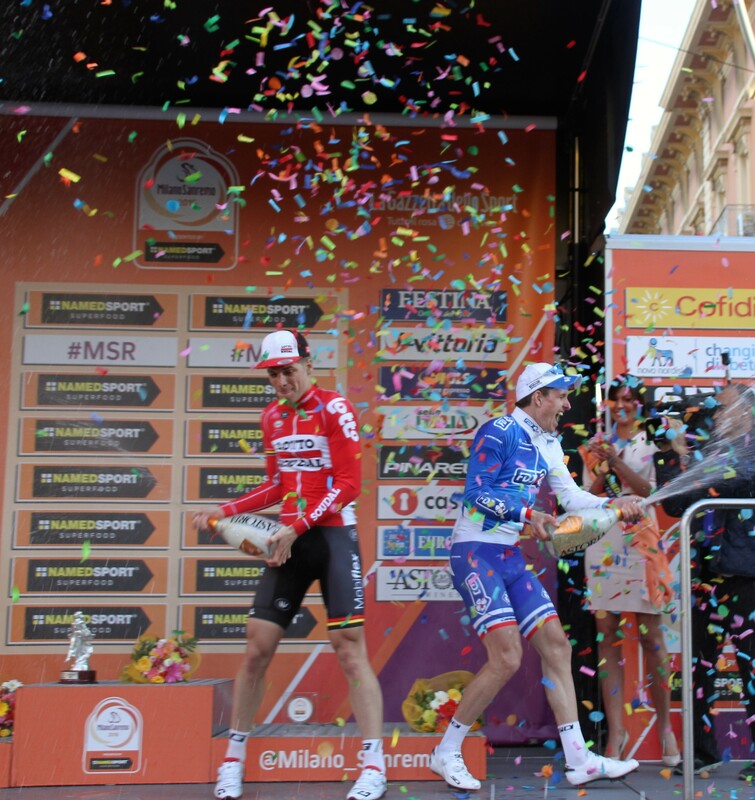 There had been a number of nervous spills, involving both Italian riders and some pre-race favourites, though the majority still seemed to be in with a shout and at the pointy end of the race. Riders pinged off the front only to be swiftly brought to heel. The crowd became excited when Astana’s Vincenzo Nibali, the Italian national champion, chased down escapee Michal Kwiatkowski (Sky). But it was all for nought, and the sprinters prevailed. As they approached the line, a number were in contention. Neo pro Fernando Gavira (Etixx-QuickStep) went down, hindering those behind. 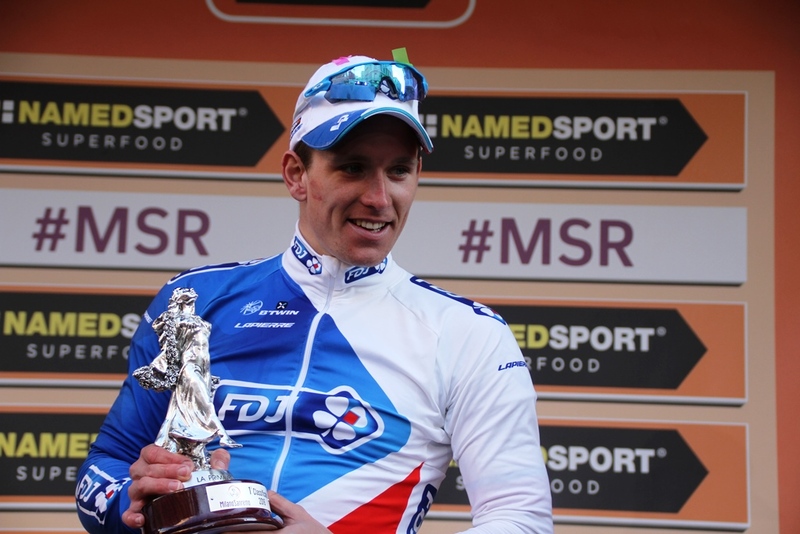 Former French under-23 world champion, 24 year old Arnaud Demare (FDJ) burst from the bunch and powered across the finishing line ahead of Britain’s Ben Swift (Sky) and Belgium’s Jurgen Roelandts (Lotto-Soudal). The first French winner since Laurent Jalabert (1995) and only FDJ’s second monument after Frederic Guesdon‘s at Paris-Roubaix in 1997. The latter was in the following car, working as FDJ’s directeur sportif. That’s what I love about cycling, sometimes it’s just so unpredictable. Demare had dropped out of Paris-Nice after winning a stage and had returned home to rest, recover and train. He’d ridden 205km on Wednesday, half of that behind his father on a scooter, but wondered whether he’d perhaps done too much. Apparently not! 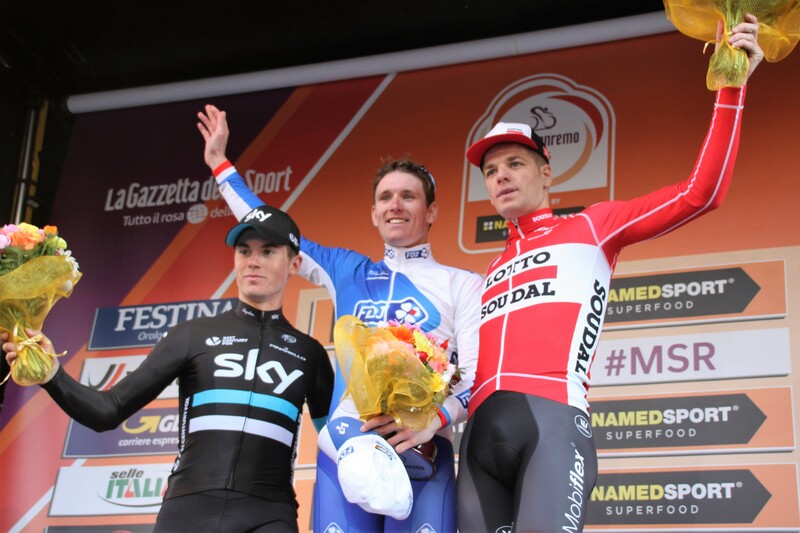 We were left wondering how he would fare in the forthcoming Belgian cobbled Classics. A happy end to a wonderful day? Well not before another quick Aperol spritz to toast the winner.